This waterfall located in the Daniel Boone Forest in Cumberland State Park is located in eastern Kentucky near Corbin. The Cumberland waterfall is known as “the Niagara of the South” because it is the second largest fall in North America—it is 125 feet wide and drops over 60 feet to the gorge below. 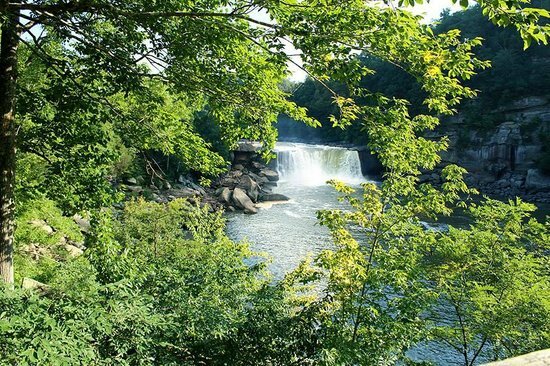 A tragic accident that occurred in the 1950s at this waterfall has resulted in a popular ghost story. 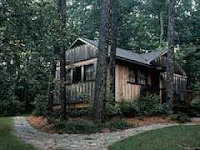 Newlyweds honeymooning at this state park were so eager to see the sights that right after they checked into their cabin in the early evening they decided to explore the park. Their wedding had been that afternoon and without changing their wedding attire they went for a walk. They stopped at a point near the Pillars that overlooks the Cumberland Falls. The groom decided to take a photo of his bride with the spectacular view of the falls in the background. He posed her on the edge of a cliff with an 80-foot drop. In her excitement she danced around but she got too close to the edge and then slipped and fell to her death. 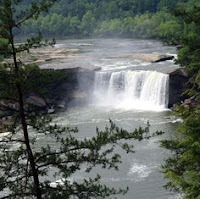 It is said the swiftly moving waters of the Cumberland Falls then carried her body away. 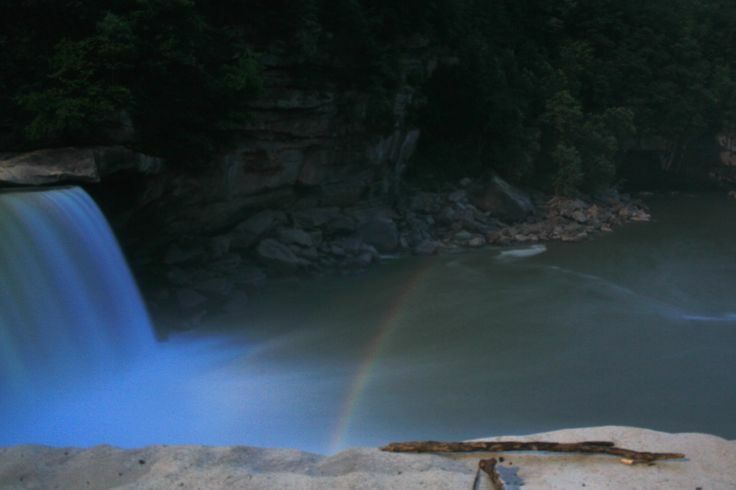 Ever since this tragic accident the spot where she fell has been known as Lovers’ Leap. It is here near the cliff where she fell and other nearby locations where numerous witnesses have claimed to see this bride’s ghost for over 70 years. She died still wearing her wedding dress and sightings of her ghost all describe her wearing this long white gown. The most alarming appearances she makes are in the middle of the road on a curve just before one reaches the spot where she fell. Motorists who have experienced this state she ran in front of their cars and then they hit her only to find when they exited their cars she was nowhere to be found. She is also seen standing on a bridge near this location. It is said that her ghost also manifests on the “nights of the moonbow.” A moonbow is like a rainbow but it occurs at night during a full moon. This moonlight refracts off the water at Cumberland as the water falls through the air it then causes this phenomenon. Tourists often gather to see this beautiful soft light. But during some of these full moons these witnesses have also seen a young woman dressed in a long white dress fall—then this figure is said to rise up out of the waters. Some state they saw this floating figure motioning for them to come closer. Many families, attracted by this classic ghost story have visited the park during full moons.